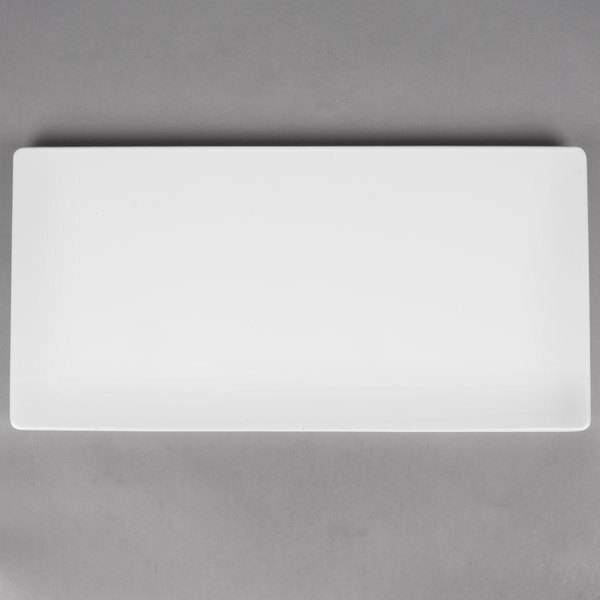 This light weight, durable 18 1/4" x 9" rectangular melamine display platter provides the perfect canvas to serve and display your colorful, mouth-watering hors d'oeuvres, tapas, desserts and more at your banquet, buffet, or catered event! 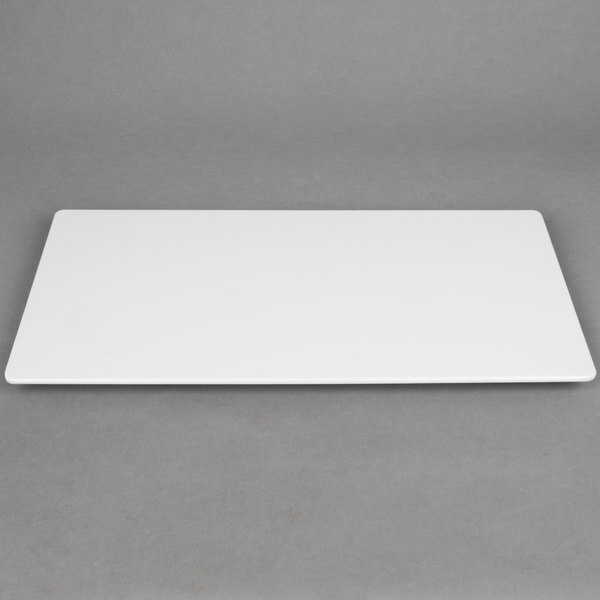 You can use them alone or in combination with the half moon shaped melamine platter for even more display options. Perfect shape and size for all of our catering needs. These are ultra durable that hold up to a lot of wear and tear. The sleek design makes any buffet table look outstanding. Four years ago we purchase our first platter and until today we are still using it, it lasts and look great for our catering events. Great for cheese or other food that's dry. Make sure you don't put runny fruit or else the juices will run off the plate. Looks classy and elegant. Great display platter! 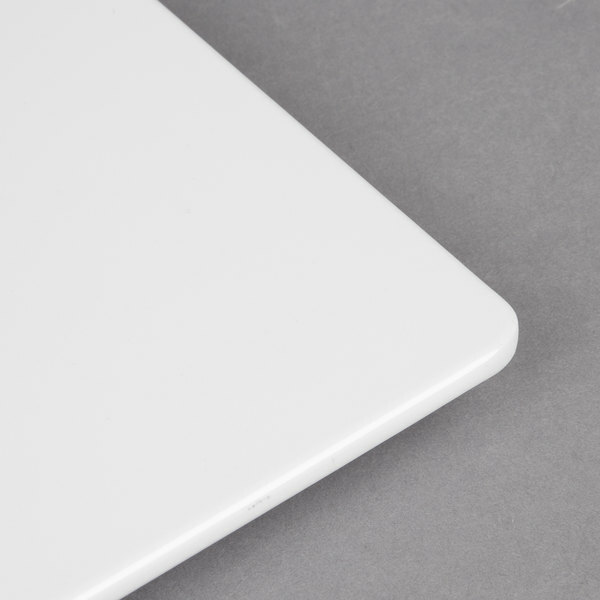 Clean and sharp appearance is sure to spruce up anything you put on it! Good price for a platter! 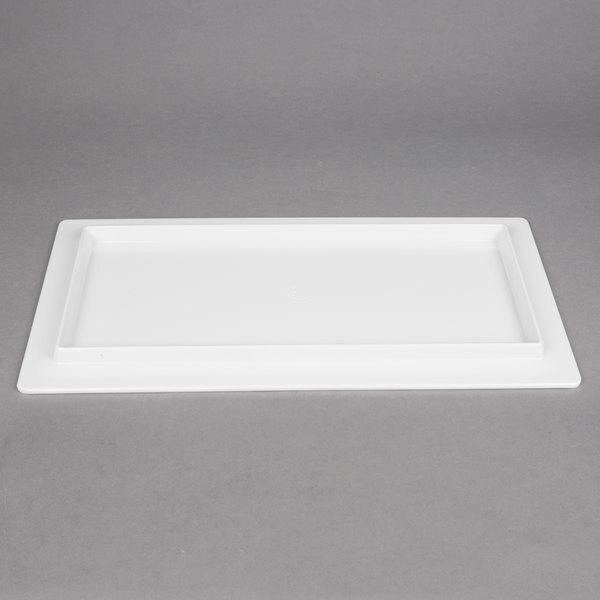 Great for cheeses or fruit displays! Works with other platters to create a whole display!